Mervyn Vincent Binns was born at St Helens on July 10th 1932. He spent his childhood at Pyengana and at the age of 14 he began competitive chopping, his eldest brothers Leslie and Geoffrey who were both axemen, taught and encouraged Merv to be spirited in the sport. Mervyn’s first taste of success was at St Mary’s Hospital Carnival, and from then on he was always ready for a challenge with younger and older men in his field. His most exciting win was in 1964 at Ulverstone where he won the 4th annual Tasmanian Thousand Chop on a mark of 7 seconds, clocked at 20 seconds taking home a trophy and cheque for 750 pounds. 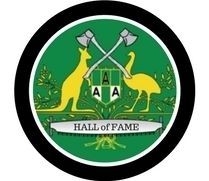 In the North Eastern Tasmanian Carnivals, Merv was the most successful Axeman, and won A Grade Championship for many years. Merv excelled in the discipline of sawing with crosscut saws, introducing and teaching many younger sportsmen and women the tricks of this trade. Thus introducing the female gender to the woodchop arena as Jack & Jills. In his latter hears he competed at Royal Melbourne and Adelaide Shows always bringing home winnings. A moment of glory for Merv was in 1991 at the Royal Adelaide Show where Merv teamed up with Eric Rattray to win the 400mm Butchers Block Standing Handicap in 39 seconds. 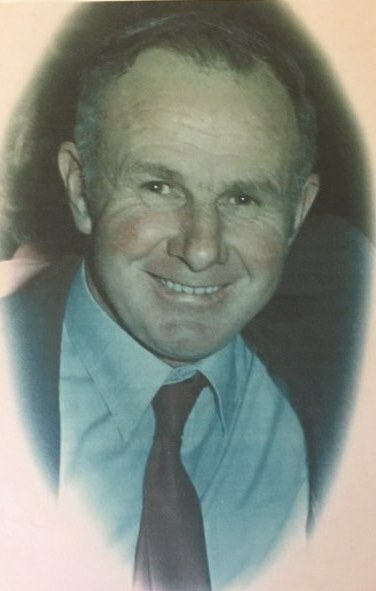 The Award of Merit was presented to Mervyn at the Scottsdale Show in November 2002 in recognition of his outstanding services to the association and to the sport in general. Retirement from competitive chopping came about when Merv experienced a heart attach in 2006. Fortunately with his strong will and determination, Merv still enjoys the carnivals and these days offers advice to the younger competitors.